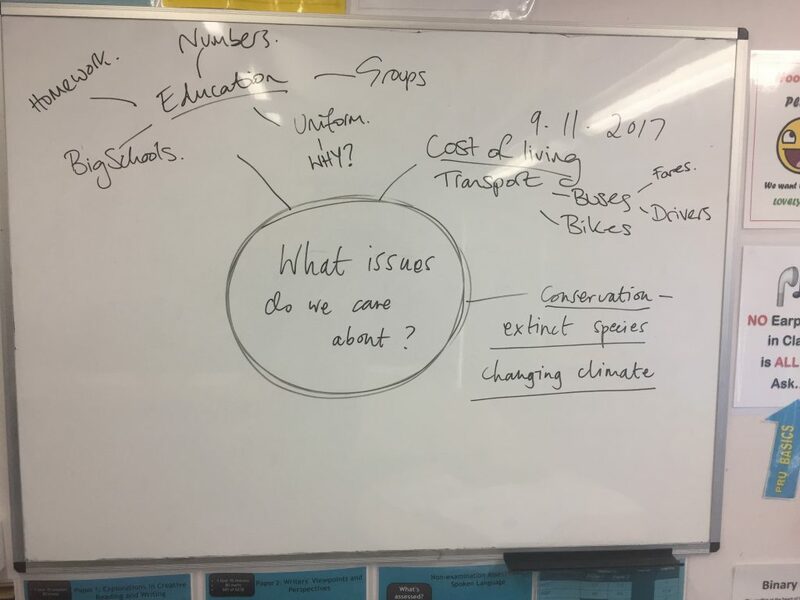 The second of our series of social dialogues with 14-15 year olds in Brighton focused on choosing topics and develop questions for further research. The dialogue covered issues such as climate change, cost of living, education and school uniforms. The discussion opened up to include topics other than digital world and use of social media as prompted by video in previous session. Working in small groups allowed quieter voices to be heard. 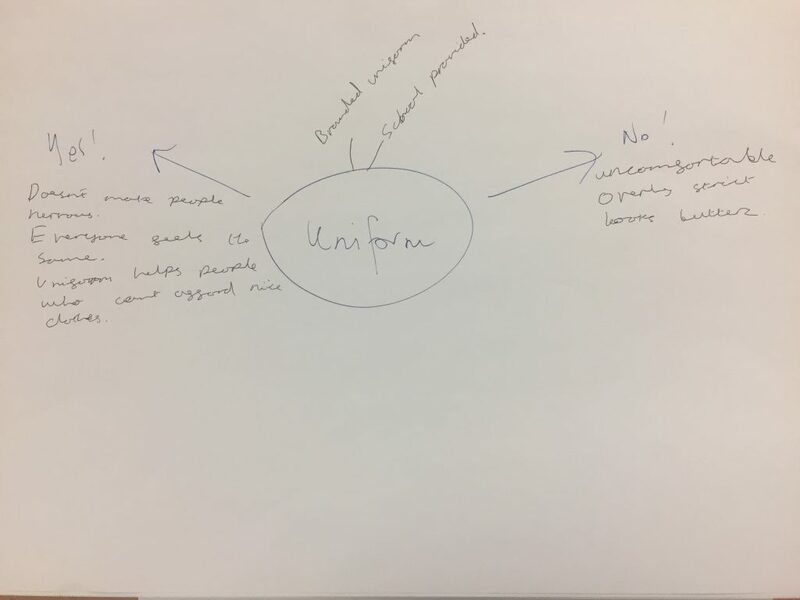 Some of the young people had strong opinions on school uniform and reflected on the pros and cons. The power of Youth Voice was debated, some students declared it was not worthwhile since no change would come as a result. This lead to a discussion about the difficulty and importance of youth voice being heard and ways to communicate to those in power.